Divorce is a complicated, emotional and challenging time for any couple. It is important that you understand your options and priorities during this tough time. An experienced attorney can help you through the legal process and offer you some perspective on how to move forward. 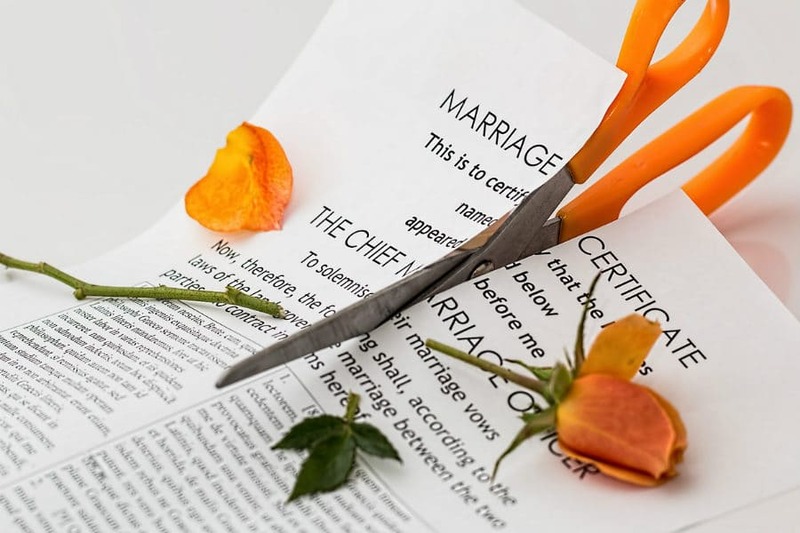 The last thing on your mind if you are contemplating a divorce is estate planning, but it is critically important that you plan for the future of your estate, healthcare and children. If you have an existing estate plan, update it immediately. Obsolete documents are not only worthless, they can cause additional problems. If you made a will 20 years ago and haven’t updated it, you have probably had some major life changes it doesn’t address. You may have had children since then, you may have been divorced and some of your beneficiaries may have passed away. An old will that isn’t kept current can actually cause more harm than good. If you feel there is a possibility of a divorce on the horizon, start adjusting your estate plan now. If things work out for the best, you can always readjust your estate plans and wishes to reflect the positive outcome. But if you delay, you run the risk of your estate plan being out of touch with your true wishes. A marriage isn’t legally dissolved until final documents are signed and processed. In the state of Arizona, after your divorce documents are filed there is a 60-day waiting period before the divorce is considered final. Depending on your situation, a divorce can drag on for years before being completed. In the meantime, in the eyes of the law, you and your soon-to-be ex-spouse are still married. If you pass away while in the process of divorce, your estate is subject to the laws of the state as though you are still married. If you die without an estate plan, your assets will be subject to your state’s intestacy laws. Intestacy laws were established specifically to deal with the distribution of estates that are left behind without a will or trust. For instance, if you were to die with no estate plan and you are still legally married, the state of Arizona will distribute your remaining estate to your spouse. There are exceptions to the intestacy laws. Some assets are processed directly to beneficiaries without government intervention. Life insurance proceeds will be distributed to the designated beneficiary. Payable on death accounts—such as checking and savings accounts will also be distributed as designated. Retirement accounts such as IRAs and 401ks also generally pass directly to preassigned parties. If you are considering divorce, update these beneficiaries to someone other than your spouse. Your estate plan is about much more than money. In addition to updating the financial piece of your estate plan, you need to address the healthcare portion as well. A well-rounded estate plan will establish a health care power of attorney (POA), or healthcare representative, in the event that you are incapacitated or unable to make important medical decisions. Usually, the person that takes on this role is your spouse. If you and your spouse are having difficulties and you do not want him or her to have the power to make these decisions, you must act now. A car accident can happen in seconds. A slip and fall accident at work can leave you in a coma. Do not risk putting your healthcare decisions in the hands of someone who may not have your best interests at heart. You can easily update or create an estate plan naming a family member or close friend as healthcare POA. This ensures your wishes will be followed and decisions about your health will be made by the appropriate party. Make financial plans for your children. Estate planning for blended families and families of any kind is extremely important. If you die without a will and you are not legally divorced, your spouse inherits your estate. Per Arizona intestacy law, if your children are your spouse’s biological children, your spouse inherits everything. If your spouse is irresponsible with money, there may not be anything left to give to your children. If your children are from a prior relationship, your spouse inherits half your estate and your children receive the other half. If you do not make provisions to the contrary, your ex-spouse may be the person in charge of your children’s inheritance. Do not risk giving your hard-earned wealth to a person that you are considering divorcing instead of to your children. Appoint a trusted friend or family member the person in charge of your estate and create a document that ensures your children are the ones to benefit. You also need to plan for guardianship of your children. If you passed away unexpectedly, what would happen to your children? Typically, when one parent dies, the other biological parent would receive full custody of the children. However, if you are petitioning for divorce due to your spouse’s parental unfitness, you will need to name another guardian in the event of your death. You will also need to make sure that named guardian is prepared in the event of a fight in court. The courts will only take a biological parent’s custodial rights away in the event that unfitness can be proven. If you are concerned for your welfare or the welfare of your children, speak with an attorney and document everything. Estate planning is needed for everyone, no matter your stage in life or relationship status. Whether you are single, married, divorced, a parent, childless, young or old, you need to make your wishes known. You are entitled to choose who inherits your estate, who will make important healthcare decisions on your behalf and who will care for your children and their financial well-being. While the topics of life, death and divorce can be emotionally difficult and draining, they are well worth the effort. A skilled attorney can help you create an effective estate plan and execute all necessary legal documents. I can make the process of estate planning as painless as possible. Make an appointment with me today and I will help you implement your wishes for the present and your loved ones’ future.